'Prepare for the others to follow' was released in 1996 on the label Swim~ run by Wire guitarist and singer Colin Newman and Minimal Compact bass player and singer Malka Spigel. Initially Pablo's Eye were approached by Japanese Mega corporation Pioneer to soundtrack their Europe wide advertising campaign for their cd jukeboxes, but later Pablo's Eye's Axel Libeert was hired with Simon Casier and Petra Fieuws to take over responsibility for the campaign’s art direction. The resulting soundtrack has formed the basis for 'Prepare for the others to follow' CD single and the subsequent vinyl (remix) releases. 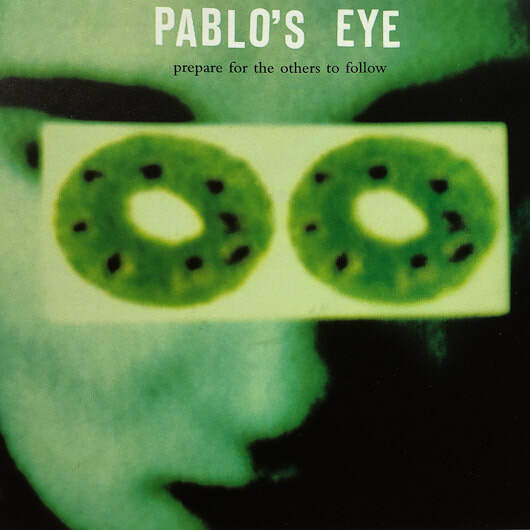 The CD maxi-single contains 11 tracks based on Pablo's Eye's advert theme for Pioneer. These 11 tracks can be seen as a compelling collection of short stories. 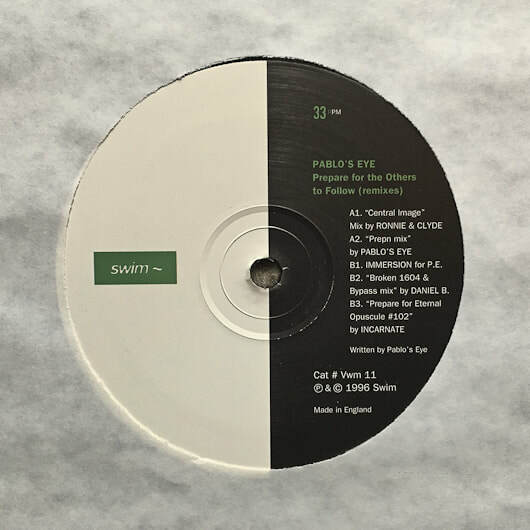 The 12" contains remixes and reinterpretations by Ronnie & Clyde, Incarnate, Pablo's Eye themselves revisiting the source track for a quicker and simpler dubby d&b excursion, Immersion and Daniel B. 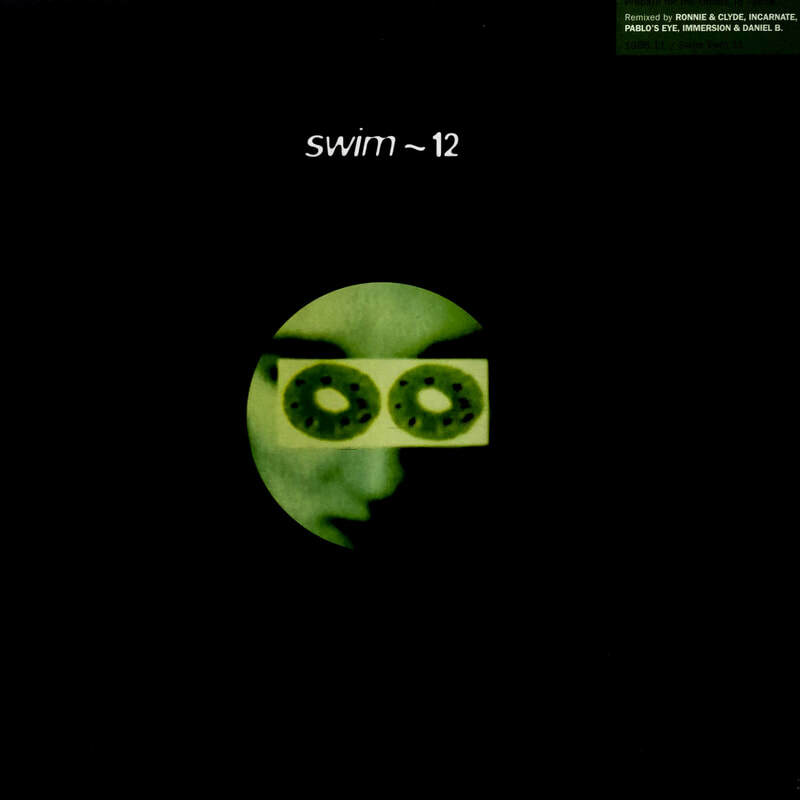 (of Front 242). This album was described as 'reminiscent of a soundtrack rather than a typical album, with themes continually reoccurring'. You can read some reviews of the album here. All compositions by Pablo's Eye 1996. Music : Axel Libeert, Dirk Wachtelaer, Erwin Autrique (thanks to John). Image & design : Petra Fieuws. Track 2 : keyboards Ben Bollaert / Soundfactory (thanks to Ignace). Thanks to : Matsumoto-san, Casier/Fieuws, Louis from Look & Listen, Uwe, the Powerbass & the Mega(ex)changer. Remix by Ronnie & Clyde 6'05"
Mixed by Pablo’s Eye 2'58"
Remix by Incarnate - Locked groove.